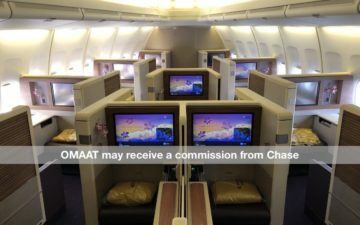 Here’s a quick trivia question — if you’re redeeming United MileagePlus miles, which airline offers the best business class hard product to Asia? The answer might surprise many of you, but on select flights it’s EVA Airways, the carrier based in Taipei, Taiwan. A vast majority of people don’t even realize that United partners with EVA. They’re expected to join the Star Alliance in 2013, though for a long time have had a reciprocal mileage agreement with United. Why’s their business class so great? Well, many of their 777-300ER aircraft feature the new Royal Laurel Class, which is a very similar hard product to Cathay Pacific’s new business class, which I flew from Bangkok to Hong Kong just a few weeks ago. With that in mind, here’s what you need to know about redeeming MileagePlus miles on EVA. EVA’s destinations in North America include Los Angeles, New York, San Francisco, Seattle, Toronto, and Vancouver. They also offer connecting service from there to all over Asia. Now, you could call United to ask about award space, though as I’ll cover below, that’ll be a pain and I don’t recommend it, since a majority of United agents don’t even realize that EVA is one of their partners. Do the research on your own first. On the next page enter your origin, destination, class of service, and desired date(s). Two important things to note here. First of all, don’t check the box by “Open Date,” because that only complicates things and doesn’t make the search any easier. Second of all, if one person is traveling you want to keep the box by “Adult” at zero. That’s just asking if there are any additional passengers. After you execute the search you’ll be brought to a results page which lists the flights operating that day. Unfortunately you have to specifically choose which flight you want. I’m warning you right now, the search functionality is only getting less user friendly from here. This thing makes tax code look straightforward, so you’ve been warned. Once you’ve chosen the flight date you’ll be brought to a page which either shows the flight as being available, or has a prompt that pops up and says the flight will be waitlisted. If the prompt shows up saying the flight will be waitlisted you won’t be able to redeem miles for it. If you see availability at the saver level, you should be able to redeem miles for it. The issue is what a pain-in-the-rear the search functionality is. If your date isn’t available it involves a lot of clicking to search days around it. Once you’ve figured out which flights have award availability you can call United to book. It’s important to note that EVA uses different fare codes for their award space than United’s other partners do. For travel on EVA, “I” class is coach award space, and “D” class is business class award space. 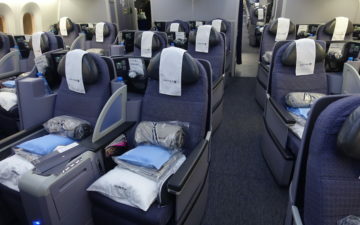 It’s very important to mention this to the agent, as for most of United’s other partner airlines, “X” class is coach award space, and “I” class is business class award space. Award tickets on EVA cost the same number of miles as any of United’s other partner airlines, and you can even combine EVA with United or other partner carriers on a single award ticket. As is the case with award redemptions for travel on all of United’s partner airlines, there are no fuel surcharges. EVA has a “Hello Kitty” jet with a dedicated website. How cool is that? EVA can be a useful partner to know about for a couple of reasons. 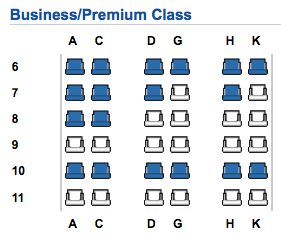 First of all, EVA has an excellent new business class, so if you can find space it’s an option that’s tough to beat. That being said, award availability is extremely limited for their new business class. That being said, award availability is quite good on their old product, so if there are no other options available it’s definitely worth considering. Knowing your options is good, and EVA is one of them. I would caution that my experience in Premium Laurel (old hard product) left a lot to be desired – the food and beverage offering is dire. I haven’t flown their Royal Laurel service but do note that they are one of the few airlines offering Dom Perignon in business class. I am handling EVA award seats everyday which is like nightmare for me all the time… very difficult to get… and I don’t consider their service is good according to my experiences. Maybe I am from Asia, I hope their can be like other Asian airlines such as ANA ! Their crew is not very experienced, also they need more training. Even their call center didn’t know their seat arrangement for new business, keep claiming 2-2 not 1-2-1! Hardware is good and new but software, hmmmmm another story. By the way, EVA doesn’t have first class which is like Turkish airlines and new business class is on the flight to NEW YORK regularly and certain flight to LAX, so Don’t expect all the flight to US/CANADA providing the new business service. Usually my wife is not at all excited about the plane…I am afraid her head would explode if we got to fly on the Hello Kitty Jet. Is this statement for sure? @ aussie — Fixed, thanks. Umm, best hard product to Asia? I don’t think so. Why couldn’t you think of ANA’s new staggered business class seat. Or how about Asiana’s new quadra smartium seat? Those are 2 that will beat EVA’s seat hands down. 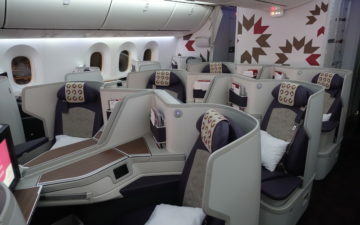 Also, the new business class seat on Thai’s A380 is not bad also. CCHuang, the statement is definitely true. I have booked multiple award ticket using EVA with other partner carriers. @ thad — Sorry, maybe I’m missing something, but you’re claiming the ANA/Thai staggered seats between the Cathay Pacific/US Airways suite “hands down?” I happen to think the suite on the latter is far superior in terms of privacy and personal space. In addition, I don’t know if it’s still the case, but for the past few months, almost no agents at the regular award desk knew that EVA was a partner, let alone how to book EVA awards. However, I’ve found that the Alliance Desk seems to be very familiar with how to search for EVA availability. Call them at 877-726-7282 and select Option 3 (Around the World awards). If you don’t select Option 3, your call may get routed to the regular award desk. In addition, United still requires a 24-hour hold on EVA awards. You will need to call back in 24 hours to reconfirm. However, if the EVA website is already showing up as confirmed (get the EVA booking code from United), you could possibly call back earlier to reconfirm. FYI, I had a flight show as D4, added the segments to the PNR (2 pax), waited for EVA to confirm, and they came about 45 minutes later as waitlisted, so YMMV. If you are replacing segs in an existing PNR, be sure to keep them in until the BR inventory confirms. For my dates it appears they will only confirm one seat at a time. Thanks for writing this up, Ben. Awards-booking tutorials are always super-useful. Airline booking websites can look cumbersome at times. 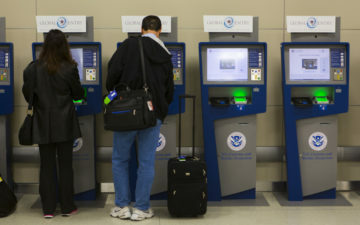 Good catch on putting zero adults for other travelers. Anyone rushing through the process would have selected “1” adult then wonder why the number of miles required went up. @ tyo_flyer — It’s cumbersome. You have to sign the additional passenger up for an account and then search for the extra seat by also entering their account number. So it’s not possible to book EVA with US air miles until they officially join *A? Do you have any idea when in 2013 that might happen? @ William — Correct, you can’t use US Airways miles for them till they join Star, though they haven’t yet announced when in 2013 that will be. GOLDEN! This is exactly what I’ve been looking for! I’ve noticed the partnership on EVA’s site for awhile now and never could figure out how to book through United! Much appreciated for this! One question and I’m pretty sure the answer is no but I’ll throw it out anyways: are we able to combine our EVA points along side United points to book an award? For example, 25k EVA points + 50K united to book an award? @ Thomas — Happy this was helpful. You’re correct, you can’t combine points unfortunately. 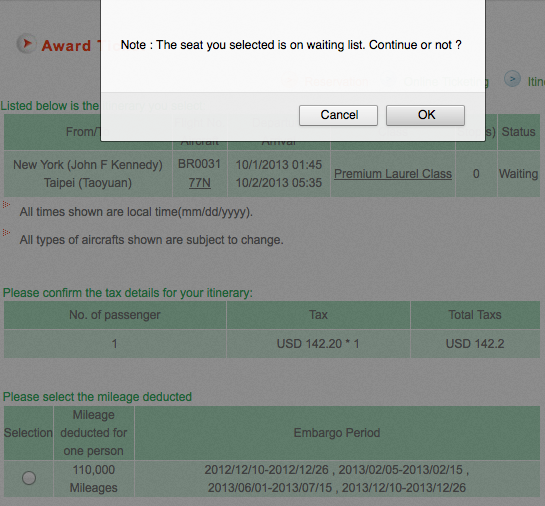 I’ve yet to find any date offers more than 1 award space available in Premium Laurel between tpe and jfk. Thanks for the tutorial. One note, it appears that the seat we want is the Royal Laurel Class but even in your screenshot above, it says Premium Laurel Class which is the old product. Are you saying that the seat map is the only way to confirm that you are getting the new product (i.e. there is an IT issue) or can you go by the description? As a note: I looked in April and the seat map and description show Premium Laurel for LAX-TPE but their website states that all NYC-TPE should be Royal Laurel and all LAX-TPE should be Roayl Laurel by end of Nov.
@ RestlessLocationSyndrome — Any plane in the 1-2-1 configuration is the new product. Sorry if my terminology was off. @ mark — They fly New York to Taipei, with connecting service to Hong Kong. Thank you so much for the info! EVA wasn’t shown on United redemption website. But we were able to book the flight with EVA by calling United alliance desk – thanks to glu800! This is great! I’m trying to find business class award space from LAX to TPE for next May with my United miles. Is this the correct seat map to check? http://www.evaair.com/images/englobal/B777_300ER_338_Seat_tcm33-4324.jpg I’m seeing decent availability around the dates I want, but it shows this seat map every time. Does that mean only the old EVA business class product is available? Thanks! @ Kat — That’s the old seatmap, though sometimes EVA’s website displays the incorrect seatmap. I believe by next May all the LAX service should be operated by the new product. Thanks, Lucky. When the search results show up, it usually shows 2-3 flights per day. Some flights have “B777” under “aircraft type” and some have “77N.” Does that make any difference? 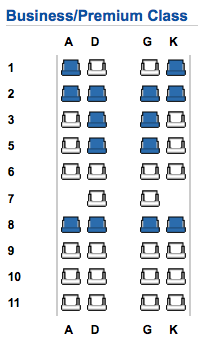 The seatmap is the same no matter which flight I pick. @ Kat — 77N should be the new product, while 777 should be the old product. You’ll still want to check the actual seatmap for the flight, though. I’m trying to book an LAX-TPE award. I’ve been checking on this flight’s availability for a couple days, and each time I’ve got the “waiting list” popup error. I checked today, and the error didn’t pop up – I got to the next page, for redeeming the award. I just called UA, however, and two separate agents see neither I nor D class available. Is there a lag between the time that the award availability shows up on the Eva website and the time that UA gets access to it, or is there some award space that is available only to Evergreen club members? @lucky – Thanks for the response. I just called United again and they don’t see availability, 24 hours later, but Eva does still show it as redeemable. I’m looking for a seat on BR1 LAX-TPE in D class on the 23rd. Quite strange. I’m having the same problem as kulfan (Eva website shows avail, but United doesn’t have it). What’s even worse for me is that United shows availability (even if Eva doesn’t), but after ticketing it, the ticket gets cancelled by Eva within 10 minutes. This has already happened a few times to me and it seems like a completely crap shoot as to what the “real” availability is. VERY ANNOYING…. EVA’s Royal Laurel Class is a great product! Just flew with EVA on JFK-TPE-PVG-TPE-JFK two weeks ago. The flight between New York and Taipei was served with Royal Laurel Class and Taipei to Shanghai was (regular)Laural Class. The new Royal Laurel cabin is the same as Cathay Pacific’s award winning business class. The service and food is amazing. I will say food of EVA is better as you could order food in advanced. The newly renovated lounge at Taipei Tayuan Airport is comfortable and spacious. I saw the adorable Hello Kitty Jet. The local travel agent said the ticket is very hard to get due to high demand. There is also a Hello Kitty play ground near the gate- very cut and well maintained. I guess it would be helpful for those passengers with kids. The regular Laurel cabin between Taipei and Shanghai is a product similar to Air Lingus’s business class. It’s not flat bed but comfortable enough for the shorter flight. And to be frank, it is still way much superior than most of U.S carrier’s business or even the first class. My only complaint is the PA is usually very long as FA had to address in four languages- Taiwanese,English,Mandarin and Japanese. Overall, a very good experience and will use it again. EVA’s Royal Laurel Class is a great product! Just flew with EVA on JFK-TPE-PVG-TPE-JFK two weeks ago. The flight between New York and Taipei was served with Royal Laurel Class and Taipei to Shanghai was (regular)Laural Class. The new Royal Laurel cabin is the same as Cathay Pacific’s award winning business class. The service and food is amazing. I will say food of BR is better than CX as you could order meal on line in advanced. The newly renovated lounge at Taipei Tayuan Airport is comfortable and spacious. I also saw a couple Hello Kitty jets which are damn cut!The local travel agent said the ticket is very hard to get due to high demands. There is also a Hello Kitty play ground near the gate at Taipei Airport- very cut and well maintained. I guess it would be helpful for those passengers with kids. 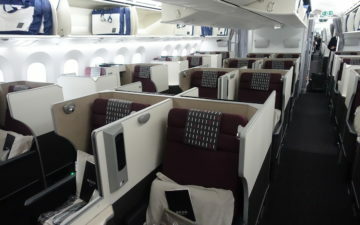 The regular Laurel cabin between Taipei and Shanghai is a product similar to Aer Lingus’s business class. It’s not flat bed but comfortable enough for the shorter flight. And in my opinion, it is still way much superior than most of U.S carrier’s business or even first class. My only complaint is the PA is usually very long as FA had to address in four languages- Taiwanese,English,Mandarin and Japanese. Overall, a very good experience and will use it again. The ticket is higher on Taipei-NY route as BR is the only non-stop carrier. EVA’s Royal Laurel Class is a great product! Just flew with EVA on JFK-TPE-PVG-TPE-JFK two weeks ago. The flight between New York and Taipei was served with Royal Laurel Class and Taipei to Shanghai was (regular)Laural Class. 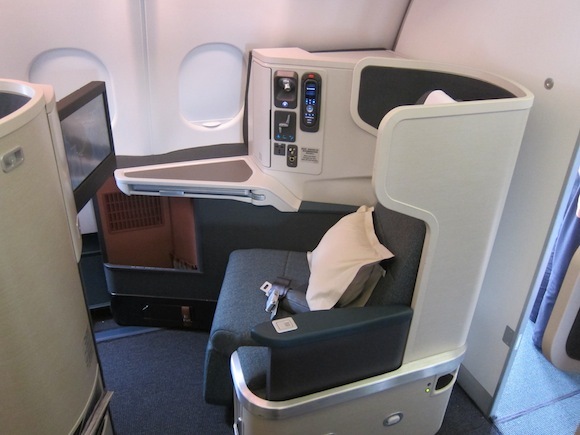 The new Royal Laurel cabin is the same as Cathay Pacific’s award winning business class. The service and food is amazing. I will say food of BR is better than CX as you could order meal on line in advanced. The newly renovated lounge at Taipei Tayuan Airport is comfortable and spacious. I also saw a couple Hello Kitty jets which are damn cute!The local travel agent said the ticket is very hard to get due to high demands. There is also a Hello Kitty play ground near the gate at Taipei Airport- very cut and well maintained. I guess it would be helpful for those passengers with kids. The regular Laurel cabin between Taipei and Shanghai is a product similar to Aer Lingus’s business class. It’s not flat bed but comfortable enough for the shorter flight. And in my opinion, it is still way much superior than most of U.S carrier’s business or even first class. My only complaint is the PA is usually very long as FA had to address in four languages- Taiwanese,English,Mandarin and Japanese. Overall, a very good experience and will use it again. The ticket is higher on Taipei-NY route as BR is the only non-stop carrier. 1. What changes do you foresee with their official admittance to Star Alliance? 2. Is there a similar way to do mileage upgrades from economy to business versus straight up redemption of business class ticket? @ edyang — The major benefit should be the ability to earn elite qualifying and redeemable miles for travel on EVA, and also benefits for Star Alliance elite members (priority check-in, security, boarding, lounge access, etc.). But I don’t foresee any negative changes. You unfortunately can’t use United miles to upgrade on EVA as of yet. If they join Star Alliance and participate in the Star Alliance upgrade program that will be possible, though only from a near full fare ticket. EVA changed their website recently and it seems the availability seen on EVA’s website is no longer the same as what United sees when I call in. Any experience with recent successes? The new business class is not available on the Seattle to Taipei route. They had no plan to upgrade at all. Pay the same price for lesser product. Still has the old crappy rock hard 36 degree seat. discriminatory practice. against Seattleite and pacific northwest , seems our market is not that important to Eva. has anyone compared united first class to eva business class. I have united miles to use for hkt/san in oct 2014 and can choose either to burn up my united miles before they go up. 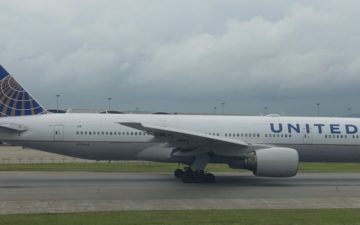 @ mikey — United first class is probably marginally better simply because it’s a first class product, and the 10,000 mile price premium is modest. So I’d probably go with United all else being equal, though both are good options. only thing I can see that is tough it the 2 am departure on OZ to connect with the united flights. TG to BR departure is close to 2 pm. I still have 2 days to decide. @ mikey — In that case if the schedule works better on EVA I’d probably go with that option. Hi Lucky, have learned lots from your site! Regarding flying Royal Laurel on EVA using United miles (SFO-TPE) — I see award space on EVA’s site (would need 75K EVA miles), but I called United, and they claim no availability in business class. Have you had any more recent experience trying to book these seats? Thanks for any advice / retrial of the methodology laid out in this post. @ Andy — There are indeed instances where EVA makes space available to their own members but not to members of partner airlines. Thx for the tutorial Lucky! Quite complicated for new folks like me. Earlier today, after buying my B class ticket on EVA, I was told by UA agent there is no *A upgrade to biz class for my flight. Does this mean I will definitely not be able upgrade or should I be checking back with UA every day until my flight? Any other options? Thx! @ Gene — You should check back. If there’s saver level award space then you should also be able to upgrade. The upgrade comes out of the same fare class as saver awards. @Lucky – thanks for the tutorial! How do you know if there’s saver level space available? @ Bitsofwonder — Nowadays you can search EVA space directly through United’s site, at least for space that’s available through United. No need to go through EVA’s website. I do the search in EVA’s website and find an available ticket which requires (50K miles + $90) to redeem. Since I don’t have EVA miles, I want to book this ticket using my UA miles. However, I couldn’t find this ticket in UA’s website at this moment. If I can, I am pretty sure It would require 40K UA miles for super saver (or 80K for standard saver) to book this ticket through UA’s website. If I call UA for booking this award ticket, how many UA miles do I need to use? 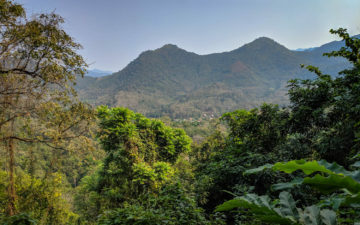 Hi all, I’ve really enjoyed the help I’ve gotten from this community over the past few years and this is the first time I’m commenting but I hope I can get some advice for a family trip I’m planning. I have 180k United points and am trying to get my family of four (2 adults a 1 yr old and 3 yr old) to Bali from Aug 15 – Aug 19, then Taipei for 2 or 3 days after. My wife’s uncle is paying for our stay in Bali so the dates our set in stone (we would have to arrive on the 15 to maximize our stay there). If you’re departing from the U.S. or Canada try Singapore or Eva Air. If you’re departing from Europe, Thai Airways, Singapore, Eva or ANA. Then transfer in Taipei or Singapore (additional transfers may be required).